Residents of the Stann Creek and Toledo Districts are preparing for a public meeting to discuss the Environmental Impact Assessment for Norwegian Cruise Line's proposed cruise port on Harvest caye - south of Placencia. 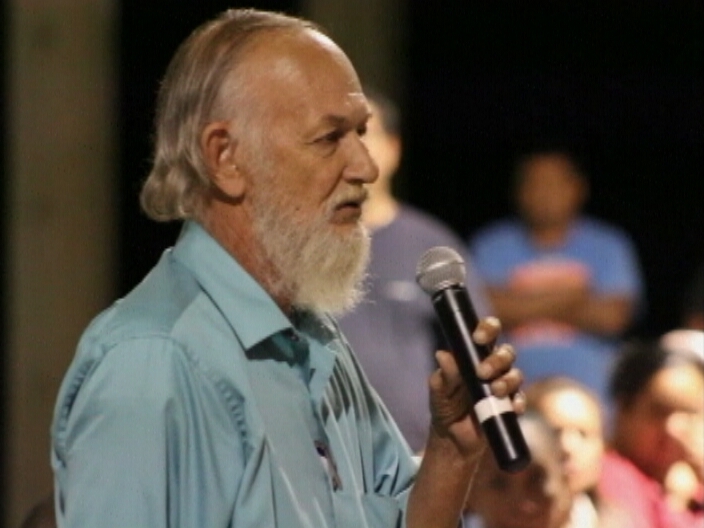 The consultation on what is in a cruel twist of the English Language is called "Harvest Caye Nature Park" will be held at the Independence High School Compound. 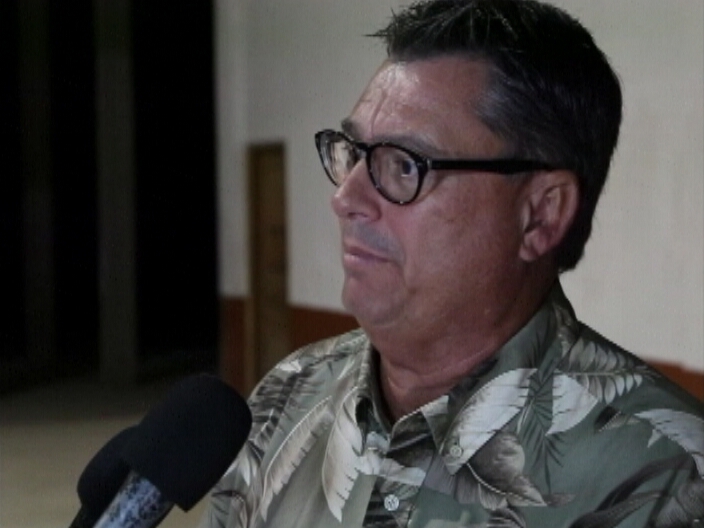 7News confirmed today with Emilio Zabaneh the Secretary of the Independence Village Council that NCL representatives have been making rounds in about 20 villages from Placencia to Bella Vista trying to bring out people attend this important public meeting. 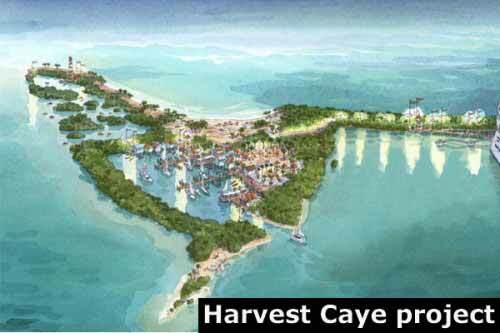 Viewers may remember that the Government has green lighted a cruise port of call on Harvest Caye, which has been hotly debated and contested by private cruise interests on Placencia, who say that it will negatively impact tourism in the south. Those nay-sayers along with those in support will get an opportunity tomorrow to speak with NCL and the Department of the Environment to discuss the pros and the cons. NCL and the Government wants as many people as possible to weigh in because they want as many suggests to pool from in this consultation process. It takes place at 7 p.m. at the Independence High school Auditorium, and everyone is invited. At this hour, the Environmental Impact Assessment into the Norwegian Cruise Lines project is taking place at the Independence High School Auditorium in the south. A News Five crew on the ground is reporting a massive turnout of those in support and those against the multimillion dollar tourism project. The project attracted controversy and strong opposition since it first came to light. 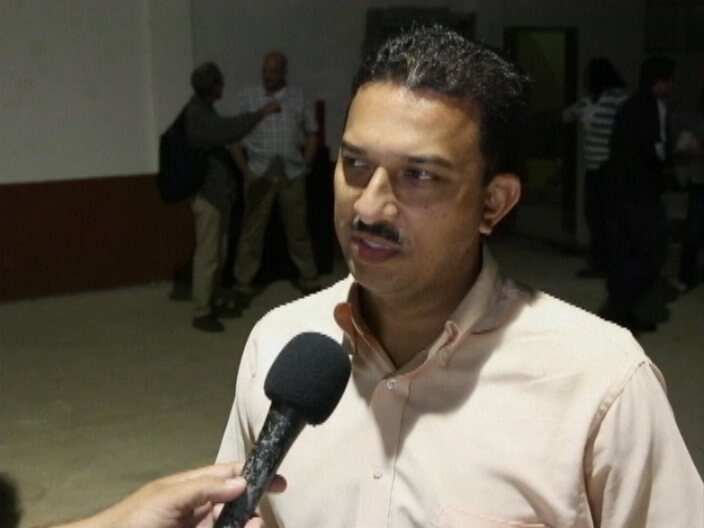 NCL says it will invest fifty million dollars and create hundreds of jobs, but the residents of the area believe that the magnitude of the project is contrary to the National Sustainable Tourism Master Plan which recommends small pocket tourism. The issue of the head tax is also a major concern because it is felt that government is getting the raw end of the deal. We will have all details of consultations in Thursday’s newscast. All I can say is that you should have been there. 200 people showed up, about 40 people made comments, and of those 40, about 5 were FOR NCL. The rest, AGAINST! And, it just wasn't emotion - it was substantive comments about dredging, the water supply, garbage, siltation, birds, fish, manatee, water quality, loss of jobs in other industries, lack of provision for local entrepreneurs, kickback of head tax, the poor quality of the EIA (which was the overriding theme of the night). Channel 5, Channel 7 and PG-TV were there and recorded the WHOLE thing, so there can't be any doubt about what happened. Meeting wasn't over until about 11:30 PM, so I didn't get back to Placencia and to bed until until around 2 AM. Therefore, I'm a little off my game this morning, but will try to post some video clips later today. It was good. Doesn't mean that NEAC can't still approve it, but last night was very, very good. Last edited by Katie Valk; 01/23/14 07:03 AM. On behalf of the Placencia BTIA board of directors I would like to thank all those who attended last night’s public consultation on the EIA for the Harvest Caye cruise port. It was clear to all present that the citizens of southern Belize have serious concerns about the introduction of mass cruise tourism to our area by Norwegian Cruise Line and are not afraid to speak their minds in defense of our natural heritage and economic sovereignty. While we are heartened by the public’s support of BTIA’s long held position we realize that the way forward will not be easy. At the very least we believe that the National Environmental Appraisal Committee (NEAC), which meets January 29, will order wholesale revisions in the poorly drafted EIA if not an entirely new document. At the same time NEAC should, according to the Environmental Protection Act, set a date for a formal public hearing (as opposed to a mere consultation) on the merits of the project. While this is going on we must also focus on the more difficult task of convincing the political directorate that their original decision to endorse the project was both premature and in error. Disclosures last night by NCL executives make clear that the economic benefits promised by NCL are in fact illusory and certainly not worth the costs to the nation. This is even more obvious given the introduction of legislation yesterday in the House of Representatives to facilitate the development of a new cruise port, Stake Bank, in Belize City. To better familiarize members with our position I have //ambergriscaye.com/forum/ubbthreads.php/topics/483881.html#Post483881 that explains our objections to the EIA and the project itself. Again thanks to all who supported our position and attended the consultation. Special kudos to those who stepped up to the microphone. For those not used to doing it regularly, it is not easy to stand in front of hundreds of people and try to sound both calm and intelligent. Nervous or not, what made last night special was that our people spoke from their hearts. Since April of last year there has been a campaign in the south from private tourism interests who are trying to resist multinational cruise company Norewegian Cruise Line from building a port to call near to the Placencia peninsula. 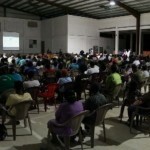 The campaign has been creative, but after months of small encounters between the two, both entities met under one roof in Independence Village for a public consultation meeting for the Environmental Impact Assessment on the proposed port to be built on Harvest Caye. About 320 residents of the South gathered at the Independence High School Auditorium last night. They listened intently to the presentations made by the representatives of Norwegian Cruise Line and their environmental consultant. "I consider this agreement unconstitutional. 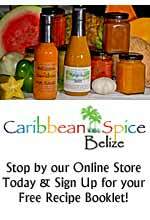 Why, because no other Belizean in here has the opportunity to do what this company intends to do." 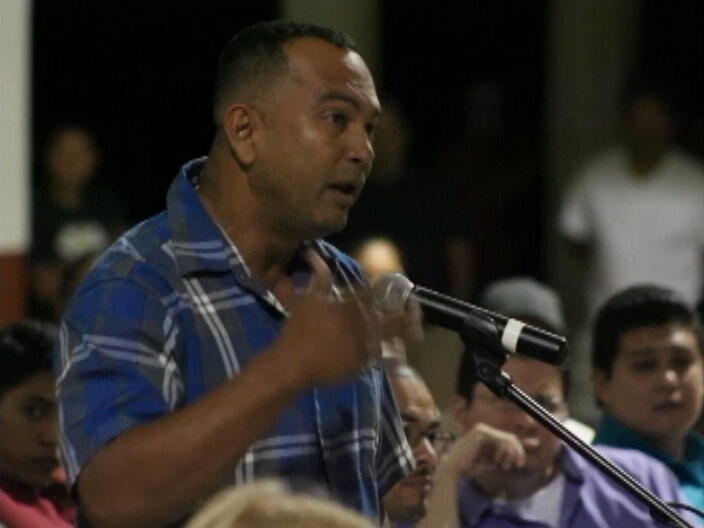 The residents got up one by one boldly facing the experts asking their different questions, but it was not until the President of the BTIA Placencia took the mic, that the meeting kicked up to another notch. The simmer in the crowd transformed to a slow burn. "I have a number of questions but first I would like to offer some congratulations and those congratulations go to the person or persons who dreamt up the title for this project to call it a nature park. How on earth do you dredge a million cubic yards of fill, replenish a beach and dare call it a nature park. I mean congratulations because its brilliant. I don't know if it was Pepe or Mr. Darley or maybe one of the Arguelles brothers, but I really have to congratulate you and the perversion of the English language because it's absolutely brilliant. This is a cruise port; it's not a nature park. 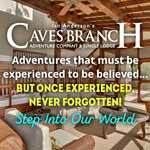 Cockscomb is a nature park, Guanacaste is a nature park, Bladden is a nature park, Harvest Caye is certainly not a nature park and certainly not after you get through with it." And then the two personalities on either side of this developments, who have been advancing their agendas, trying to undercut the other's progress, went head to head. "Someone, again I don't know which person it was talked about 600 - 1,000 jobs; the EIA I believe refers to 250 direct jobs on the island. I am not talking about these jobs on aboard ship. That is ridiculous. If you need labor for ships, you get labor for ships; One thing has nothing to do with the another. Unless the people from NCL are going to say that if we turn down this proposal for a port you are going to fire all the Belizeans that you hired, is that what you are saying Mr. Darley?" "I am sorry, say that again please?" 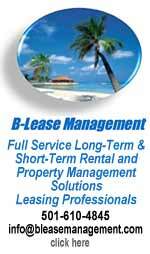 "There is no tie between how many Belizeans you happen to hire to work on ships and anything about this cruise port." 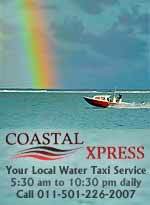 "No actually what we were hoping to do is train locals so that Belizeans can be the operators of the island. We would rather not bring Filipinos or Europeans to come and operate the island." "How on earth are you going to bring Filipinos to operate the island? We have laws about that Mr. Darley. 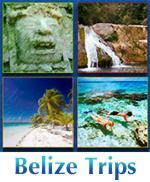 Belize is for the people who live here." "Let's talk about what this cruise port is really about. It's about money okay, pure and simple. This is all about money. The people at this head table and the people who are currently employed by NCL to push this project on Belize, they are here to get paid okay. You are not here because you love Belize. These Belizeans who are going to sell things on the island, are you going to give them free rent? In others words, can they come and sell their crafts for free or are you going to make them rent kiosks like you do every other place. This is business." "Well we are not going to make anybody do anything. There will be a business opportunity for them to come to the island as they do maybe in your village or wherever you are from. The commercial value of the project is definitely about money. I think that most people here are probably in the business of actually making money." "The original MOU for this project called for two ships and it so happens that the committee that was examining this look at the two ships and said no we can't have two ships." "Mr. Krohn, can you speak about the environmental impact assessment report. The MOU has no bearing on what we are here tonight. 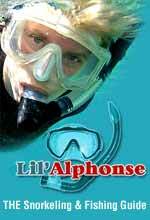 Can you stick to the technical aspect of the study." "Mr. Franco it has every bearing." "It's not the forum here for that. We are here to listen to EIA from a technical perspective. Can you be very specific and precise, so that we can proceed? We have several behind you that we would like to give an opportunity as well." 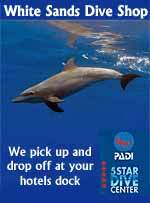 "This is a multi-national company that's hard to challenge by our local tour operators. 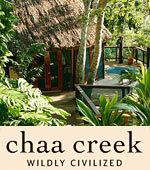 Look at Chukka and FECTAB in Belize City, that's going to happen here." "This topic of the cruise ship comes up all the time and all my guests say they do not want to come into the area when you have mass cruise tourism. having such large number of people who are only in for a few hours going to the sites is not something they are interested in dealing with and I have a lot of guests saying they don't want to come back." It continued like that for another hour or so, and then a resident from Independence village took the mic and pointed out all the scientific flaws in the EIA study. She poured over almost 400 pages of information, and she cited the environmental information for the project as being poor because of outdated data, inconsistent or incomplete testing results, omitted data, and inadequate risk mitigation mechanisms. "Please don't not come and disrespect us with an EIA that I don't know if you thought we were not going to read it but we did and so I did not like it any at all because really and truly if you are going to present data to somebody and tell them that you want them to accept this, please, come to the consultation and accept this and say yes go ahead with the project, you agree, then give us the correct thing." "The EIA starts talks about one thing in the first part and then addresses something else in the latter part, so it becomes confusing for people and for myself." "Maybe there was mistake, but nothing too serious. Hold on, let me explain." And he did, but by that time, the mood in response to the scientific, technical jargon had already shifted against NCL. "We could go back and forth with things that I read in the EIA. 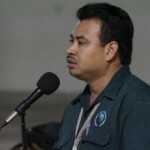 I understand that there are many people behind me, but just for future references, for the people who wrote the EIA, its very disrespectful that you will come and give me these kinds of things, not only me but my community and my country and the yet DOE or the NIAC, whoever will say yes and stamp the green light and go ahead with it. My goodness, if I can pick up on some of these things I would appreciate if people on the NIAC would also pick up on these things and say take this from me. I was a teacher and when my students came to me with things that I did not like because I knew they could do better, I sent them back with it - go and do it better for me. So I would appreciate next time you write a better EIA." That set the tone, and it gave the gathering fair grounds to oppose the NCL project outright in the presence of the Department of the Environment. 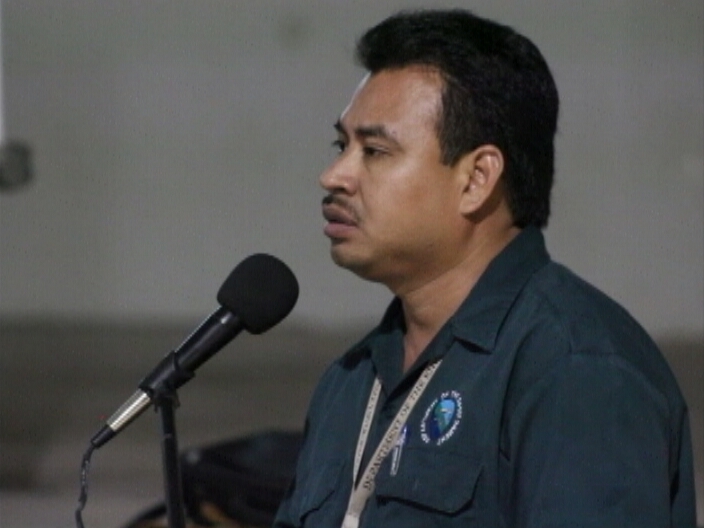 "Because of the difficulty in interpreting the accuracy of the EIA and looking at the situation down here and the national tourism master plan for no big cruise ships in southern Belize, I will categorically reject at the NIAC the NCL project." "I came in here and I saw Mr. Pepe doing the EIA report very low tone, very low key, easy to miss a couple things - how come you came here with an EIA that's not ready for the people and have so many faults." "Don't get confuse with the fact that you want a project to automatically assume that anybody in any country will say that they like the project and it will help us, so you are going to be mediocre and careless in how you are going to develop it. That EIA, I just briefly look through it and there is nothing specific, and you are saying that you all will discuss it later and take our concerns. Basically they are looking to step it so that the Norwegian group - they are a big reputable company and 50 million will not get the job done. They are not going to get the job done dredging at that depth - that will not happen. They need more money and I hope they are not dead raise." Since the EIA has so many errors and flaws in it, NCL says that it intends to transcribe the entire consultation meeting, and they will redraft it with all the recommendations suggested, and whatever data that was missing, erroneous or unclear will be fixed. And while that bubbles in the south, on a parallel track in the Belize District, the Barrow Administration has given the green light to Mike Feinstein's Stake Bank Project. A bill introduced yesterday in the house is named the Stake Banks Cruise Docking Facility Development Bill. The Prime Minister explained how it will work:..
"You were here just like I was; the opposition was virtually unanimous. Out of all the hundreds of people that were here only one person spoke up directly in favor of the project and he read from a script that was obviously written by somebody else. I think its clear, the people here and the people of the south realize that this project - nobody ask for it, nobody needs it - there is the new development at Stake Bank that just today was approved and endorse by the national Assembly - that is the way to go. 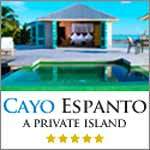 It's clear, there is absolutely no need for this cruise port at Harvest Caye for a million different reasons that we've gone over many times before." "Did you expect such a negative feedback from the public?" "Yes we did, we had a lot of information that was coming from the community leading us to believe that there are a lot of agendas and as with any agenda, you are going to have certain people that are going to express very vocally. In many realms that we worked in you got a liberal view and you have a very conservative view. Conservative people that support the project are very quiet people. People who are outspoken are generally in the opposition and that's what we heard tonight, so we need to address their concerns." "I know one concern out in the public is that, you know we are doing this entire thing here but really and truly this project has already been green lighted; this entire EIA consultation was just a one other step, but it really play a role in this particular instance because it already has the green light." "We don't really see it as a green light. We still think there are a lot of hurdles." "Technically you are right NIAC is made up of a majority of government members, there is great pressure on them to vote yes and even if through some miracle the NIAC voted against it, the cabinet/government could still over rule it, but I would simply ask those in power to pause for a minute." There is no word at this time as to whether Government will approve the duty free status Feinstein has requested for the project. We are told that will be determined either for or against in the final agreement. The Norwegian Cruise Line proposed port on Harvest Caye has been somewhat on the backburner lately, but for tourism stakeholders and residents in the south, it is certainly up front and personal. 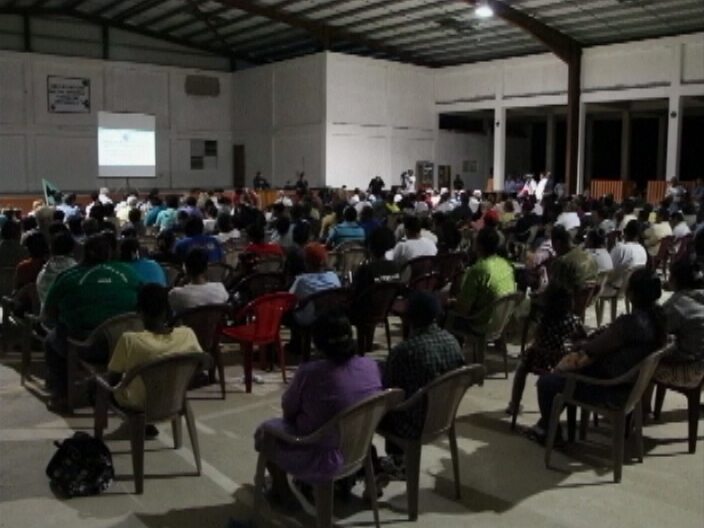 The topic resurrected with a vengeance on Wednesday night, when NCL executives stopped off in Independence for a community consultation facilitated by the Department of the Environment. On the table was the Environmental Impact Assessment, and that three hundred and nine page document sparked very heated discussion and fiery commentary. The stated purpose of the session held at the Independence High School was to elicit scientific and technical input. We’re not sure if that was achieved, but NCL and the D.O.E. did get a heaping helping of reality. Mike Rudon was in Independence and has the story. 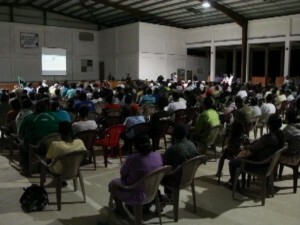 According to the official register, about three hundred and fifty southern residents and tourism stakeholders attended the consultation on Wednesday night. The NCL project has been a point of contention since it was announced, so it’s a pretty good bet that executives did not expect a bonding session with hand-holding and back-patting. But the process is necessary, even if a little unpleasant. The tone of the night was set early on, and the EIA was put on trial. Apparently the document is chock full of errors and premises based on old data and statistics, so pleasantries were immediately discarded. But while NCL is rushing to put things in place, residents and stakeholders are not happy. To them the sloppy EIA is a disastrous launching point. So for more than two hours, they made their displeasure known. But it wasn’t only the EIA…there were many questions about sewage disposal, water treatment, dredging, disposal of garbage, tendering and employment for Belizeans. Despite all that, NCL is determined to press on, and says the negativity is mainly because people haven’t gotten a clear understanding of the benefits of the cruise tourism industry. 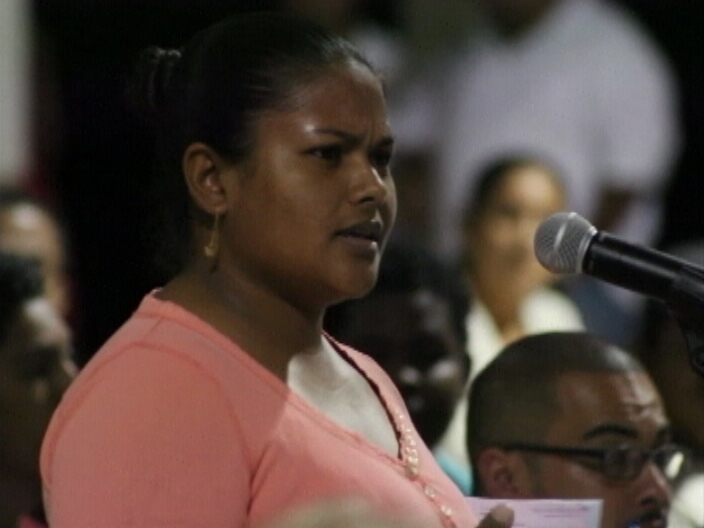 Of about fifty persons who stood on Tuesday night to ask questions, express concerns or make comments, only about three expressed support for the project, one of them tentatively. Mike Rudon for News Five. NCL is ready to get started as soon as possible, and is even prepared to start doing immediate work on the island under the terms of the EIA. But Darley says that they have decided to wait until a full green light is issued. The US$100 million Stake Bank Cruise Docking Facility, which has received environmental clearance, is expected to proceed imminently after Parliament yesterday received a proposal for a 20-year development concession in the form of the Stake Bank Cruise Docking Facility Development Bill, 2014. 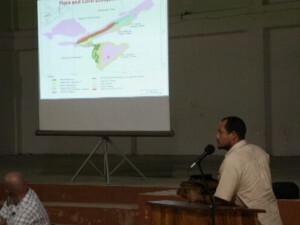 Meanwhile, the US$50 million Harvest Caye destination island proposed by Norwegian Cruise Line for southern Belize is still under the lens, with the public consultation for the Environmental Impact Assessment (EIA) held Wednesday night in Independence. “The EIA was just disastrous…” said a businessman, who supports the project conceptually. 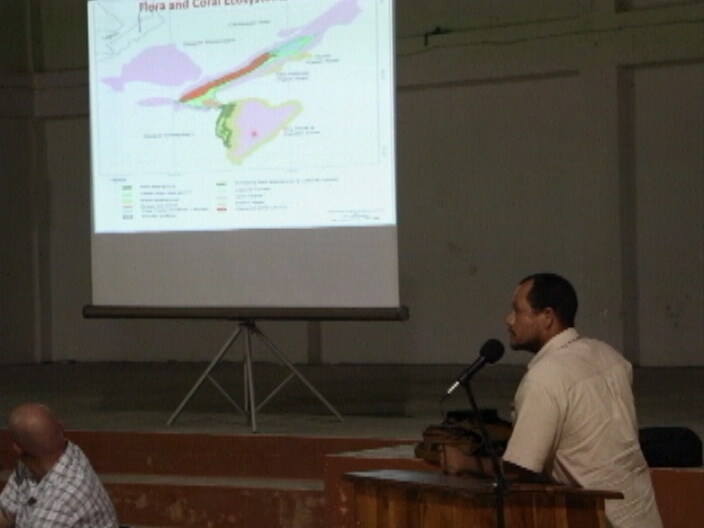 The concerned citizen told us that while the majority of the people who attended the hearing want to see something happening in the south, they want to make sure it is within the framework of a good EIA and is a good project, beneficial to Belizeans. People are skeptical and think everything is a conspiracy, so it is important that the concerns are properly addressed, he indicated. 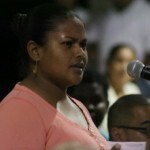 Amandala is informed that between 200 and 300 people attended that hearing, and while most people sat as observers, those who were vocal had many questions, including questions over how the cruise line would dispose of the silt derived from the dredging it expects to carry out this year as a part of the development. Some attendees were stunned that one of the proposed means of disposal is pumping the silt into the sea – particularly as this method could put Belize’s marine ecosystem, the fisheries resources and our world-famous barrier reef, at risk. An official source told our newspaper that the Department of the Environment will continue to accept public feedback on the project for another week or so, after which the National Environmental Appraisal Committee is expected to meet. However, early indications to our newspaper are that Norwegian will be asked to make some substantial adjustments to its EIA, in order to address the environmental concerns that have been expressed. Amandala understands that both Rodwell Ferguson, the People United Party’s area representative for Stann Creek West, and his predecessor, Melvin Hulse, former Stann Creek West area rep for the United Democratic Party, were there and both supported the Harvest Caye project – provided that the social benefits promised would be realized. 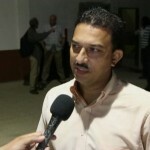 Some are concerned about whether the project will give Belizeans “donkey work” rather than meaningful entrepreneurial opportunities. Reports to our newspaper are that Norwegian, in line with a promise made last year, is moving to hire 250 Belizeans, who they hope to begin to put to work on February 1, 2014, and those persons would be given first priority to work at the Belize project, after they have received two years of experience on Norwegian ships. One attendee we spoke with said that there are “a lot of problems with the EIA…” which was hundreds of pages long and very technical. However, as we had previously reported, the EIA in question is merely an adaptation of an old EIA that had been done for a tourism development which had been planned for the same location. The Norwegian EIA reviewed last night even lists George Murray, who has been dead for 5 years, as the chairman of Independence Village. At the hearing, questions were raised over how the project would source water for use at the facility, and a number of suggestions were laid out, including the drilling of wells for water, capturing rain water, a desalination plant and sourcing water from the Independence area. 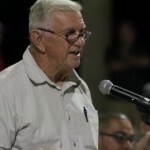 The concern with the last proposal is the risk of overuse of the aquifer, which supplies Placencia, Big Creek and Independence, and that no research has been done to verify how large the water source is, and whether further exploitation could lead to salt water penetration into the water source. There was also concern raised over an extensive floating dock, proposed as a part of the project, and concerns that it would be more than three times the 300 feet customarily allowed for such developments. While there were structural concerns expressed, there were also pressing economic matters raised: Locals don’t want Norwegian to monopolize the tendering process through which cruise tourists are shuttled from ship to shore. One local business questioned whether locals would be allowed to shuttle tourists to the mainland, but was told that Norwegian would have special shallow draft tenders which they will import to shuttle people, and if locals are willing to buy those tenders, Norwegian would consider that. Locals also questioned whether passengers using that port would be able to book tours with independent tour operators, and the concern is that Norwegian will control this dimension of the project as well. 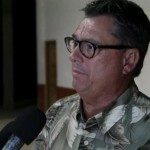 Steward Krohn, a hotelier in the area and a vocal member of the Placencia arm of the Belize Tourism Industry Association (BTIA), is adamant that “the project itself is just a bad project.” Krohn said that he would be shocked if NEAC would approve the EIA in its present form. He pointed to concerns raised by Jolie Pollard, BTIA-Placencia executive director, over the sharing of the head tax – US$4 of the US$7 going back to the cruise line – a formula which would evidently mean that Norwegian would recoup its entire investment within 20 years – so the question is, what would they be giving to Belize when Belize would be giving them back all they invest via the head tax split? It’s like if a slave master gives you a bill for room and board, because he put you up in a shack, Krohn said. He expressed the view that there needs to be a more thorough EIA, which would provide better data and a more definite statement of what their plans are, and once that revision happens, the EIA should again be presented at a new public hearing. 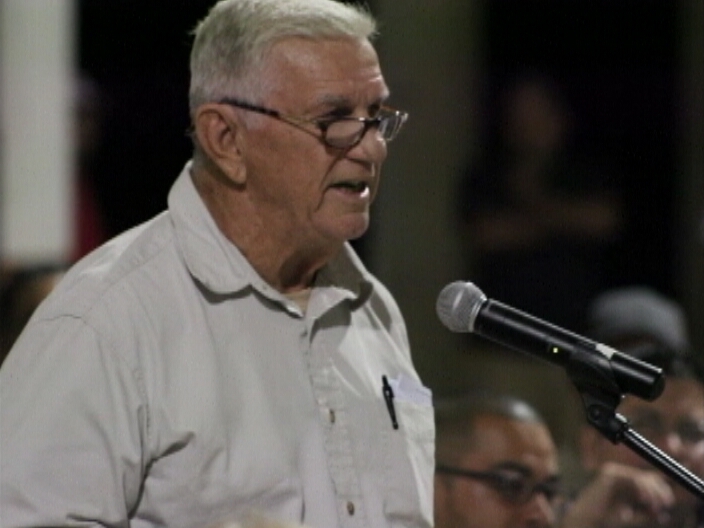 Krohn said that it appears that Government is “in way too big a hurry…” to push the project ahead. In related news, Amandala has received reliable information that the project by Blue Water International to farm red drum fish off the coast of Belize City, which we reported on about a week ago, has been approved and an Environmental Compliance Plan is being prepared. Will NCL EIA Have to Go Back To The Drawing Board? The National Environmental Appraisal Committee was supposed to meet tomorrow to discuss the NCL Project for Harvest Caye, but there are reliable reports reaching 7News tonight that it this meeting has been postponed until a later date. That's because the public concerns raised at the EIA public consultation meeting on last week Wednesday in Independence have highlighted many environmental concerns that the developer has not properly dealt with in their EIA. 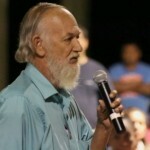 Yesterday, an organization called Peninsula Citizens for Sustainable Development sent out a release criticizing the EIA for its inadequate details on the project's daily water usage, the effects of dredging needed, the destruction which will take place on Harvest Caye, the effects of the operation of the cruise ships, and its socio-economic impacts. The organization is asking for the entire EIA to be redone before it is reviewed by the NEAC. Last week, 7News showed you how NCL's Project Director, Hugh Darley, promised that make all the necessary corrections exposed in the public consultation. 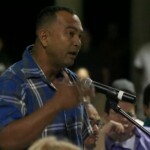 Today, we contacted Jose Pepe Garcia, one their environmental experts who presented at last Wednesday's public meeting. He told us that the experts are working on those corrections. But, it's a major embarrassment for both the developer and the government, and the smart money says the entire process will likely have to be rebooted.